Ivan Gonzalez, University of University of Southern California School of Social Work. 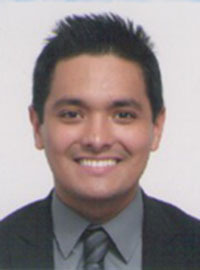 He also has a Bachelor of Arts in Sociology from the University of Calofornia at San Diego. Growing up in a low-income household with a single mother who worked two minimum wage jobs he realized the inequality existing in our society. Originally, he believed that he was the only child that was going through that situation and that there was nothing he could do to change it. His personal background provided empathy towards the struggles of individuals from underrepresented communities, and that social work was the appropriate career to pursue in order to advocate for social justice for those individuals who are marginalized and oppressed by other members of societies due to their hardships. After graduation, Ivan plans on working as a psychiatric social worker, providing services to individuals in a community mental health setting. The specific population he is targeting is individuals from underrepresented communities who have been diagnosed with a severe mental illness. The importance of working with this particular population is due to the stigma that exists behind receiving mental health services. Additionally, there are multiple layers of issues that impact individuals from underrepresented communities.